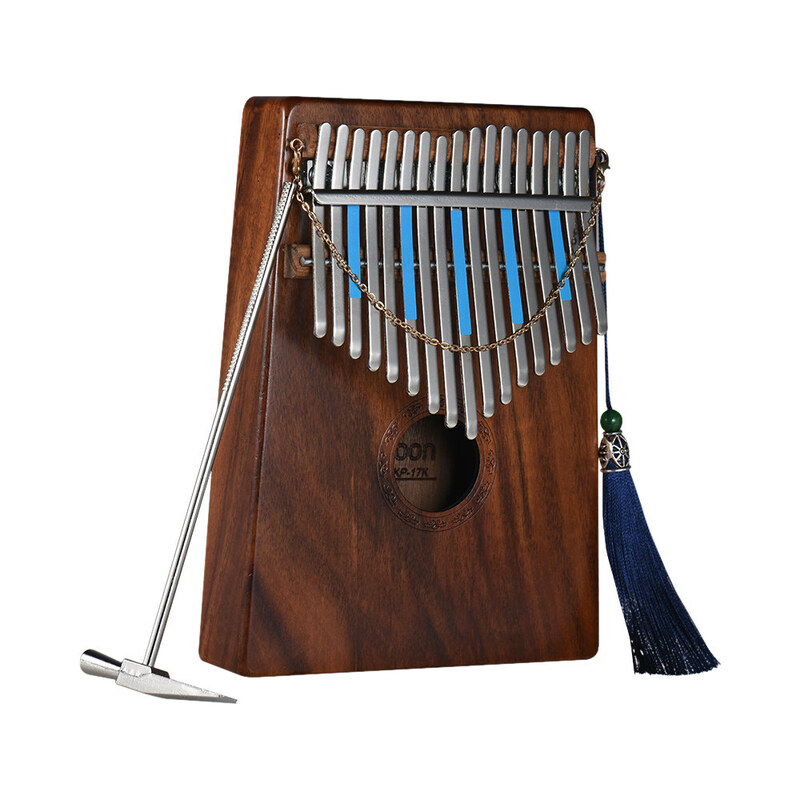 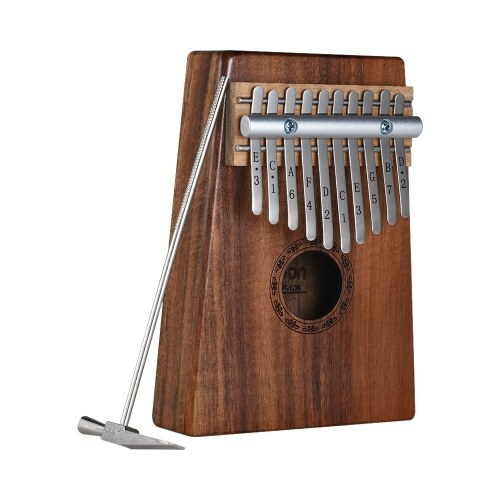 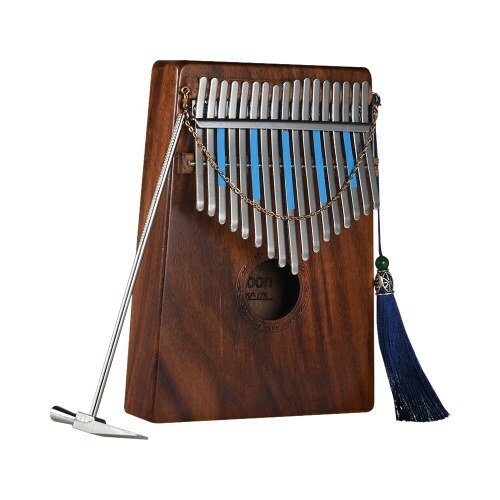 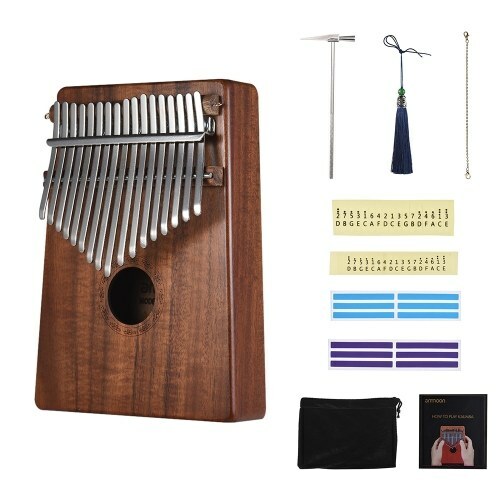 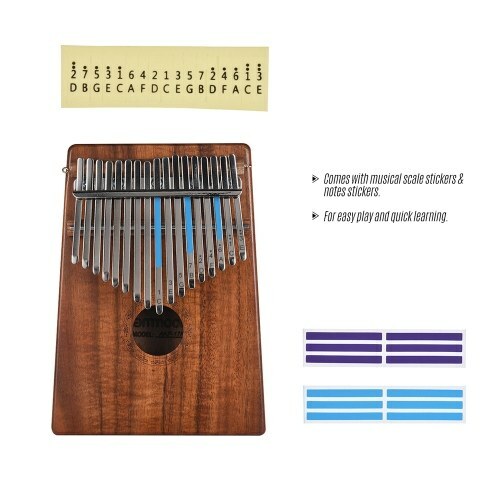 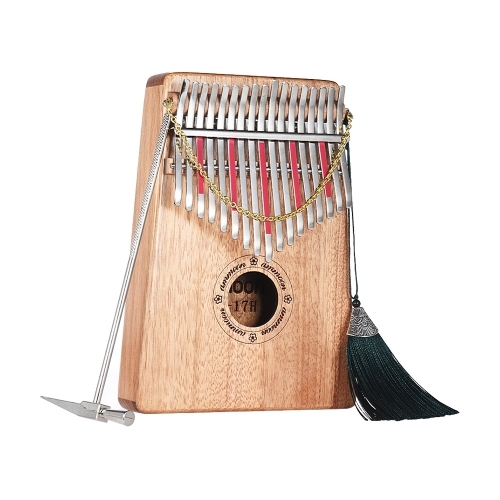 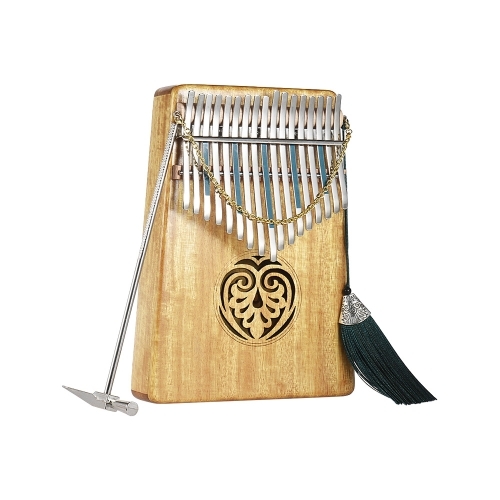 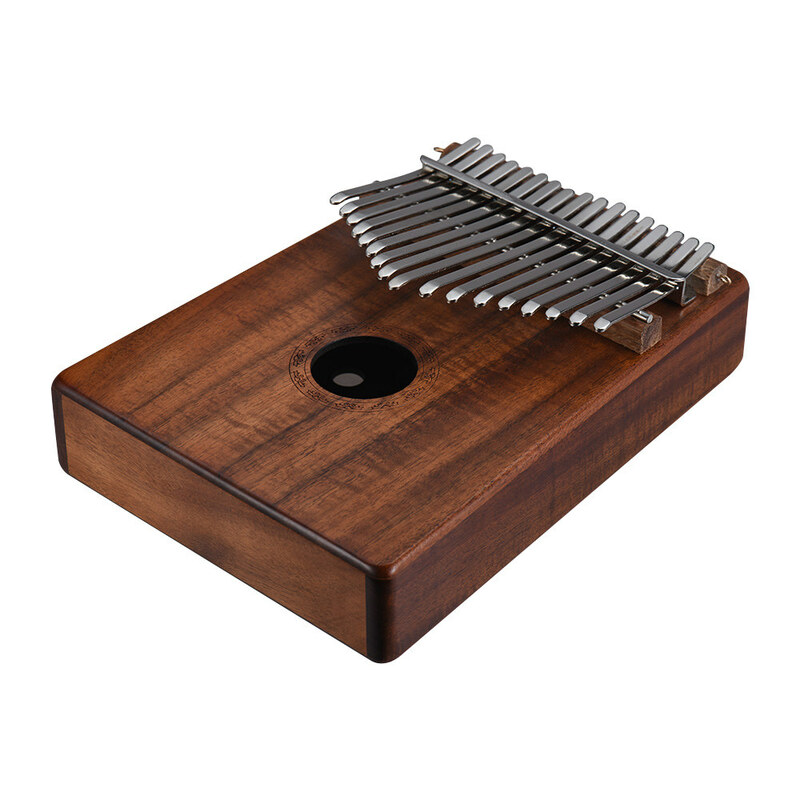 Made of high-quality Hawaiian Koa solid wood with 17keys adjustable metal tines, this kalimba is providing more bright and clear timbre, longer sustain and comfortable touch feeling for you. 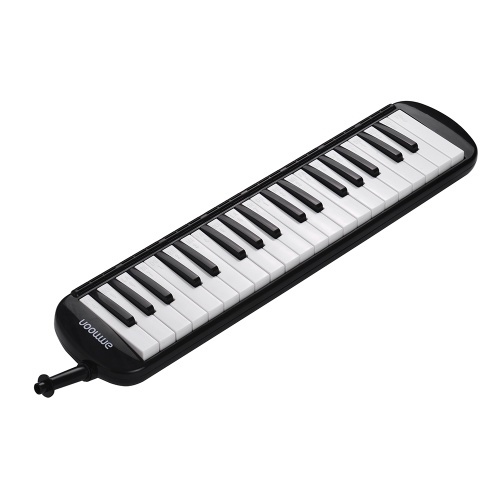 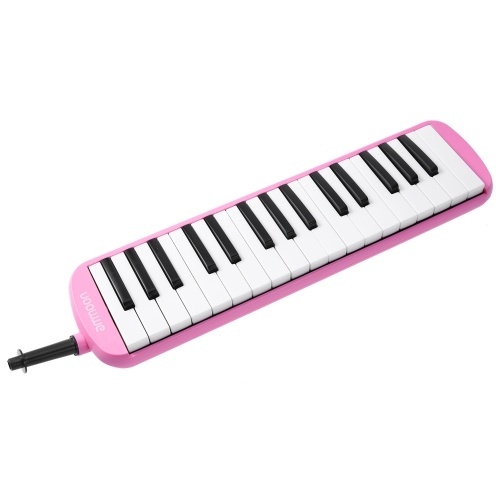 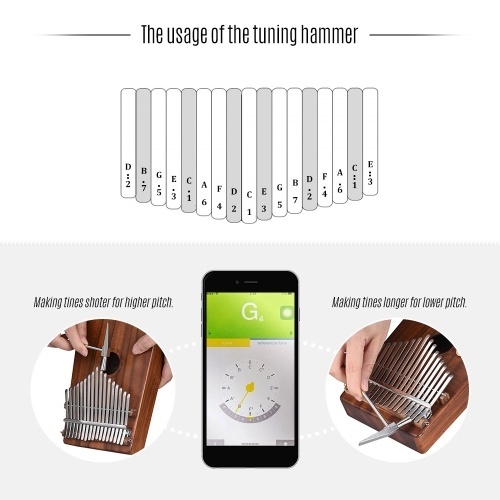 It is a real musical instrument that will amaze you! International standard C tune design, the corresponding tunes of the metal tines are 1(D), 2(B), 3(G), 4(E), 5(C5), 6(A), 7(F), 8(D), 9(C4), 10(E), 11(G), 12(B), 13(D), 14(F), 15(A), 16(C6), 17(E)(from left to right). 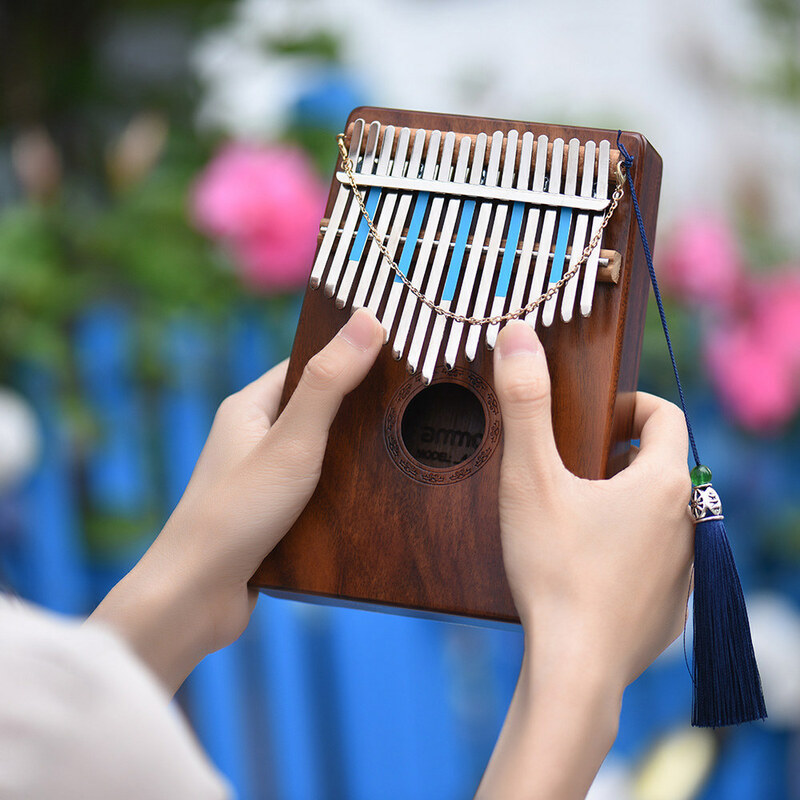 Comes with instruction & music book + musical scale sticker + notes stickers + tuning hammer + a carry bag + an accompaniment chain + a beautiful tassel decoration.